I will be speaking live in Montreal this coming Wednesday… and it’s free. I am often asked when I will be speaking live in Montreal. Candidly, it does not happen often. And, when it does, it’s usually a private corporate event that is not open to the public. So, if you’re interested in seeing my latest keynote presentation (and what I’ve been thinking about when it comes to disruption, marketing innovation and the future of business), you are more than welcome to join me on Wednesday, April 12th, 2017 at the Montreal Museum of Fine Arts (1379 Sherbrooke Ouest, Montreal, Quebec). There is one catch: You must register. Why is my presentation and this live event open to the public and free? It turns out that KPI Digital (an IBM partner company), the APCM (Association des Professionnels de la Communication et du Marketing), AMR (Association du Marketing Relationnel) and the Canadian Marketing Association have all come together to host, sponsor and bring this event to Montreal. Transform your brand and your digital marketing this coming Wednesday night in Montreal. 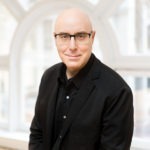 Register here: Transform Your Digital Marketing Strategy With Mitch Joel (President, Mirum) Live In Montreal. (Please note: the registration website is in French, but my presentation will be 100% in English).